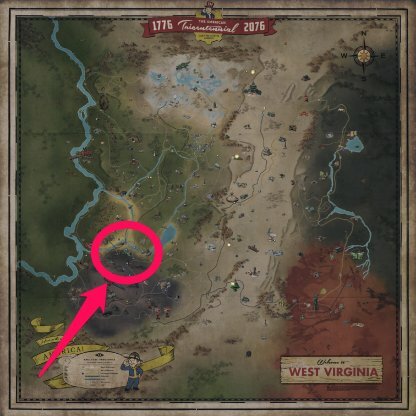 Check out this guide for a full walkthrough of the Recruitment Blues Quest from Fallout 76, including gameplay tips, guides, & more! This quest has been divided into 2 parts because of the length of time and number of objectives you need to complete. Below is the list of rewards you will get after completing both parts of Recruitment Blues. The first part of Recruitment Blues will have you running around Camp Mclintlock, passing courses in order for you to become a soldier in the military! The above chart shows what you need to do. Fort Defiance is located on the far Southeast corner of the map. It can be found Southeast of Huntersville. Be ready for a lot of fights against mole rats and a high level glowing one. 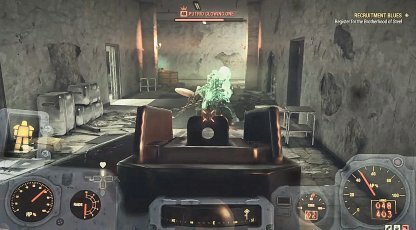 It is recommended to bring high damage weapons such as shotguns, and be at a high enough level to take them on. Clues to bypass security are found at the opposite end of the hall where the terminal is located. 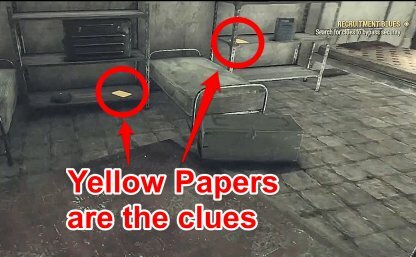 Go to the room on the right, and there will be yellow pages scattered around the room that you can pick up. 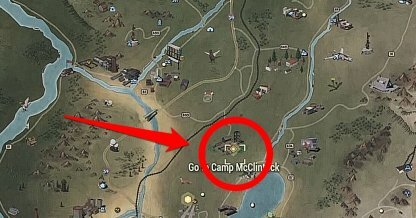 Camp Mclintlock is located on the West Side of the map. It is a short walk Southeast of Flatwoods. The Back To Basic Quest is its own sidequest that has its own set of objectives for you to complete. 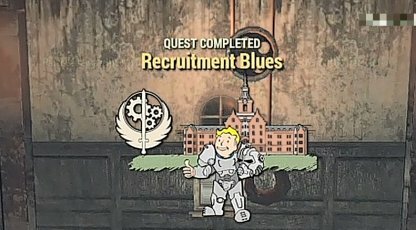 The Recruitment Blues Quest will not progress until Back To Basic is completed. The second part of the recruitment process is for you to get a government issued ID. You will need to head to the Charleston Capitol Building and participate in a rather long application process. The Charleston Capitol Building is at the lower-left side of the map, just before the burnt area. It can be located East of the AVR Medical Center. 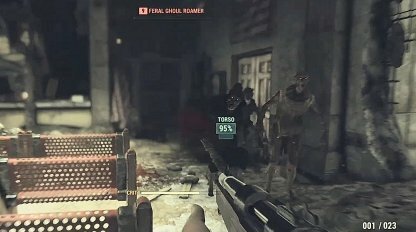 While you are advancing your number in the number terminal, Ghouls will periodically after a number of times using the terminal. 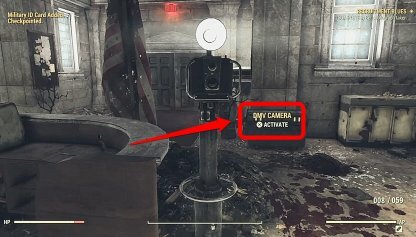 Be ready, and use a shotgun to make quick work of the enemies in tight spaces. The letter can be found in a mailbox, just North of the Capitol Building. 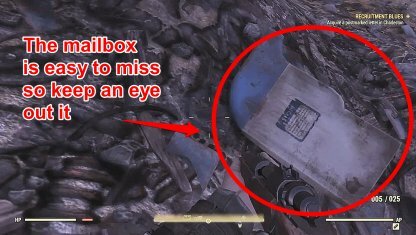 Keep your eye out for a white and blue mailbox on its side since it is very easy to miss due to its size. 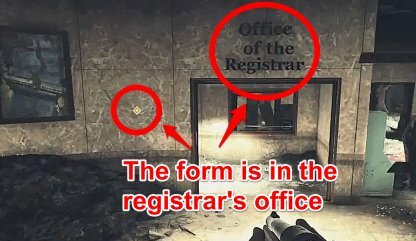 The form is found in the office of the registrar at the Capitol Building. You will be able to get to it be picking a level 0 lock that will let you inside the office of the registrar. 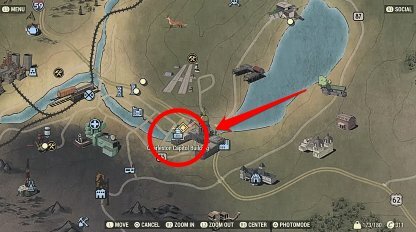 After talking to C1, you will be able to learn all about Error 34B/1 by the terminal right behind you. 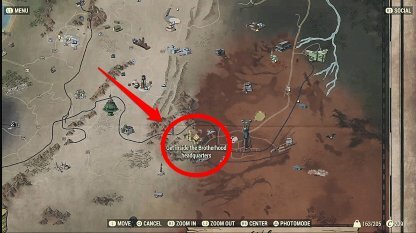 It will be next to the Overseer's Cache by the door. The Governor's Seal can be found at the other end of the same building. It is on a desk just behind the governor's terminal. You will be able to get your photograph taken by the camera in front of C1. All you need to do is stand in front of it, and interact with it when the prompt shows up to get your photo taken!